← Guestbook Ideas, Favor Ideas, AND Chocolate Cake! I am a casual runner, and haven’t really run in a race before, but this past weekend I had the privilege of running in The Dempsey Challenge. It was my very first race, AND my very first 10K! 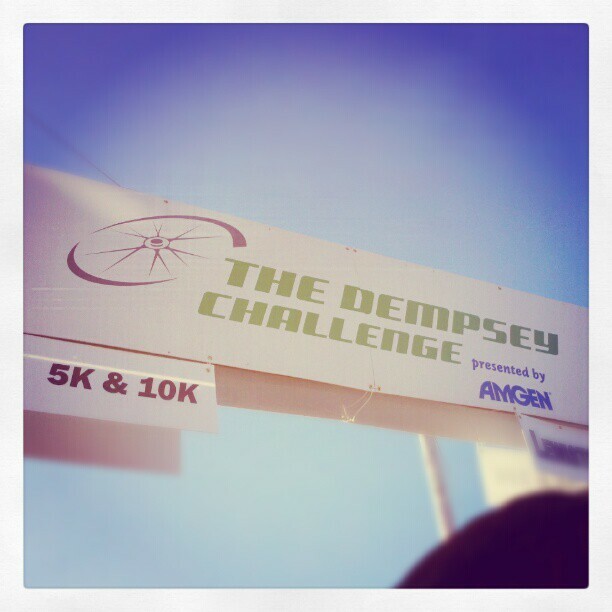 The Dempsey Challenge raises money for the Patrick Dempsey Center for Cancer Hope And Healing. The center really works to make life easier for cancer patients, and it’s all free. Every year the Center puts on the Dempsey Challenge to raise money. It was really a really great day to run, albeit freezing. 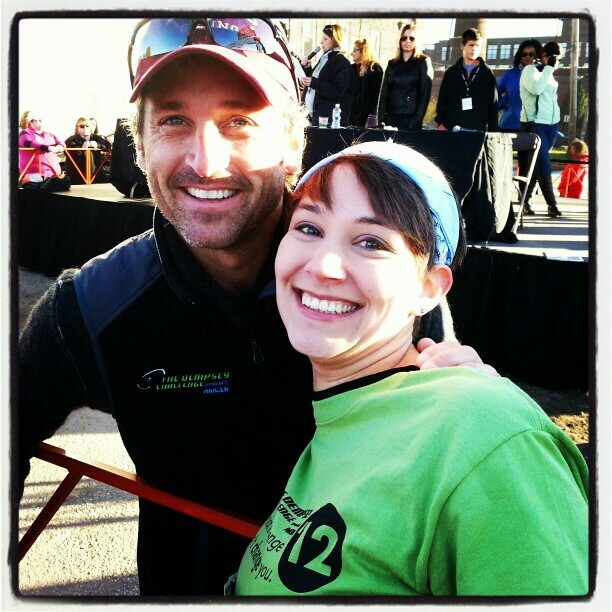 Patrick Dempsey is there to kick off the running events. And I have to admit, it was pretty cool to see a celebrity up close, and it’s always interesting to think that a celebrity hails from the same town you live in. After the 5K runners left, we lined up for the 10K, and Patrick Dempsey even hopped down into the crowd for a few pictures! Paused For a 5 Second Picture With Me! I’d be lying if I said snapping a picture with THE Patrick Dempsey wasn’t a highlight of the day! Even better, I was able to run the whole 10K in under an hour! I was really happy to be running for such a great cause, and to tackle and accomplish my own personal goals. 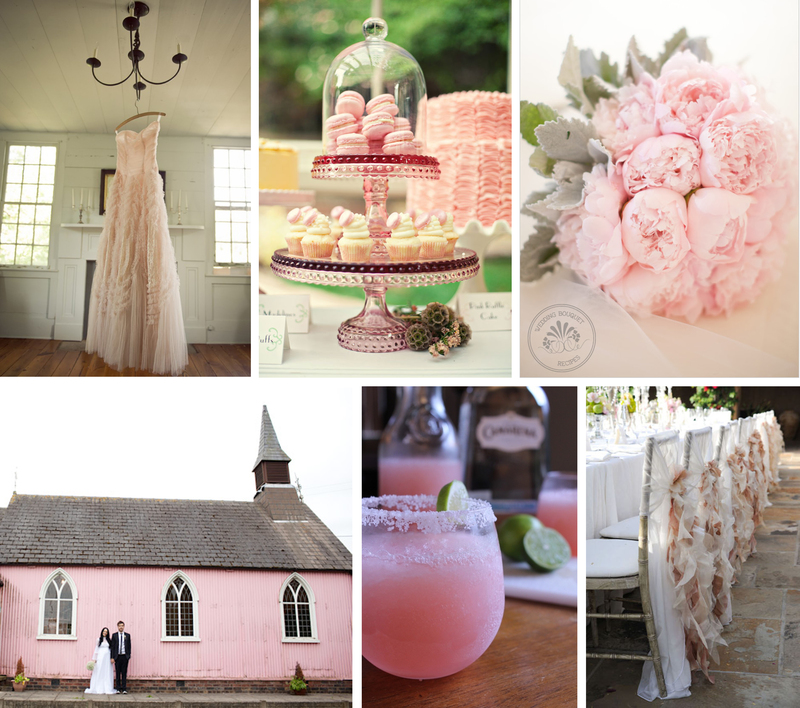 In honor of The Dempsey Challenge, and that October is Breast Cancer Awareness Month, I wanted to give you some ideas for a gorgeous pink wedding! One of the cutest things couples do for their wedding is, in lieu of a favor, they donate in everyone’s name to their favorite charity. It is such a great way to help out an important cause, all in the name of love! One of the best ways I came across for donations is to have your guests choose which charity they would like to donate to among your favorites! I think that it’s a wonderful idea to have your guests choose the charity, that way they are just as much involved in the gift as you are! I love that I got to help out a great charity in my own way, and I think that charity favors are such a great idea to give back! If you would like to give to the Dempsey Center, you can donate here! There are so many great causes that really help people in need. A wedding is a great way to show support amidst so much love.